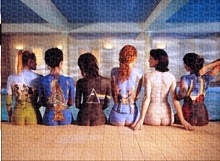 1000 piece jigsaw puzzle measures 20 x 27 when completed and features 6 of Pink Floyd's most famous album covers painted on the backs of 6 beautiful ladies. 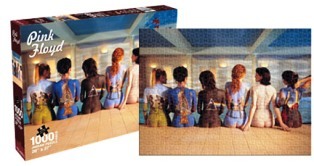 Makes a great gift for any Pink Floyd fan. Officially licensed Pink Floyd merchandise.